Good morning, and here we go with another week. Today is supposed to be the gloomiest day of the year; Blue Monday. I hope you’re not feeling too blue but if you are, how about a little indulgent peek at some stylish, contemporary interiors. Kitchens are the heart of the home. The place where we gather first thing in the morning, where we share together-time, cook, eat and play. Creating a kitchen that you love, that inspires you, will help you create a home where you enjoy spending time, where you feel calm and happy. For me, I love contemporary kitchens. Kitchens full of clever gadgets and sleek lines. They don’t have to be cold and clinical though, there are lots of ways you can inject warmth and softness, and even colour too, if that’s what you like. The overriding characteristic of most of these kitchens, is the lack of clutter. If you like the clean lines of a contemporary kitchen, you will need good storage and a place for everything. Keeping the worktops clear from kitchen paraphernalia is a must in creating the right look. Add one or two statements pieces, like this stunning light fitting in the kitchen below, and you will really bring the wow factor to the room. If you’re a keen chef and like to cook, investing in a high tech oven like the ones from Amica is a great idea and will complement the high end look of your kitchen space. If you don’t want the white high gloss look of a typical contemporary kitchen, not a problem, just add texture. Neutral colours, rich textures and natural woods can still pull together, as below to create the contemporary kitchen of your dreams. It’s also easy to update your current kitchen to give it a contemporary feel. 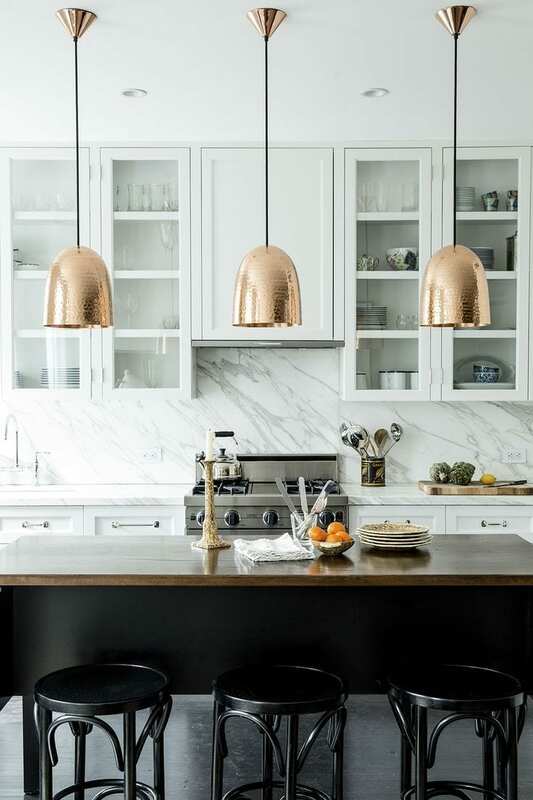 Metallics are so hot right now, and feature lighting, like these copper pendants below, bring a bang on trend look to any kitchen. 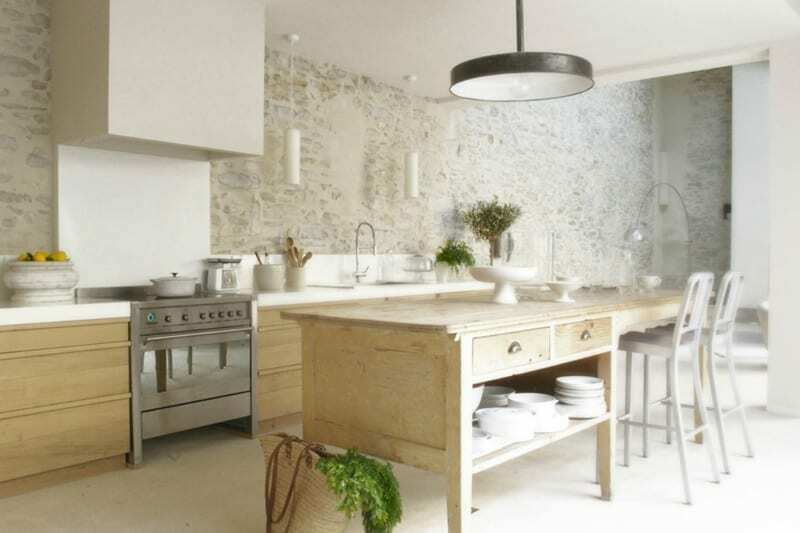 Do you love the contemporary kitchen look too? Or is it too clinical for your home? Do let me know. I love those choice in kitchens, I never would have thought adding crystal lights to a kitchen would work but it really does!